Polymer Protective Packaging (PPP), is located in Allendale, Michigan. Focusing on the automotive, commercial and industrial markets, our protective packaging is designed and manufactured using several substrates to ensure that products, when shipped, arrive in pristine condition. Packaging your merchandise can be a confusing, and often times frustrating, experience. 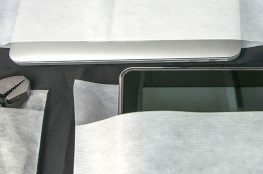 At Polymer Protective Packaging, our packaging specialists understand the complex process of choosing a safe, secure, and simple to use package that will fit the needs of your product. Our staff has years of experience, and we welcome the challenge of trying new things to satisfy our customers’ needs. Versatility is a key factor in providing products to our customers, and we accomplish this through human resources and maintaining key process equipment. 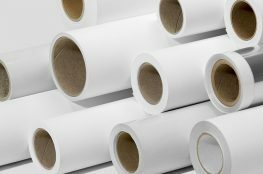 PPP is capable of converting cushioning, spun bond, and other flexible products and substrates into sheeting and pouches. However, we are not exclusive to these substrates. Our staff has experience in many types of packaging, and we see this as a valuable asset to our company’s diversity. Additionally, Polymer Protective Packaging is ISO 9001:2008 certified, the International Standard for Quality Management Systems. This certification is the most widely used quality management system standard in the world, and provides a framework and set of principles that ensure a common-sense approach to the management of our organization to consistently satisfy customers. Being ISO 9001:2008 certified demonstrates our ability to deliver products that consistently meet customer requirements, while reducing operating cost simultaneously. Continual improvement of processes and resulting operational efficiencies means money saved, which benefits both us and our customers.